This advanced, automatic tuning unit has no less than eight different treatment applicators: three inductive coil applicators, three spaced condenser sets and two soft, flexible plate electrodes. 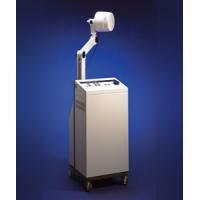 Shortwave Diathermy & Accessories can be found in our extensive online collection of products from globally recognized and trusted brands, including Mettler Electronics. An excellent option to consider is the Mettler Auto*Therm 395 Shortwave Diathermy with Capacitive Plate Applicators, Drum and Arms.